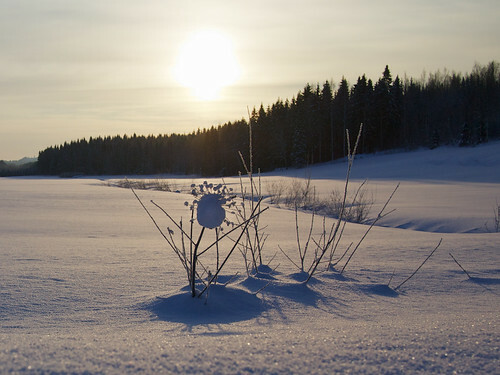 Winter sun, originally uploaded by Jonne Naarala. So beautiful sunshine but not warming much yet, Days and nights have been very cold lately. We had even -32 degrees Celsius last Friday. Hopefully sunshine will have some warming rays in a month or so. Ten years together, originally uploaded by Jonne Naarala. Jenni and I have known each other ten years today. We decided to buy a “new” car for Jenni because she will go to work in the coming autumn and we thought that a better and safer car would be nice. 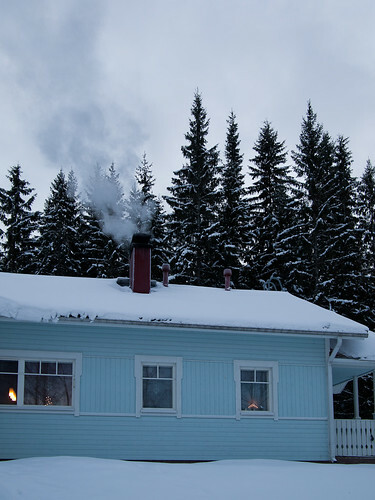 Heating us up, originally uploaded by Jonne Naarala. Our mansory oven provides so pleasant heat for our house when it is freezing outside and wind gusts are blowing. And you can prepare food in it too. We use it quite much for that purpose and I can tell you that many food just taste so much better when prepared in the mansory oven instead of electric one. 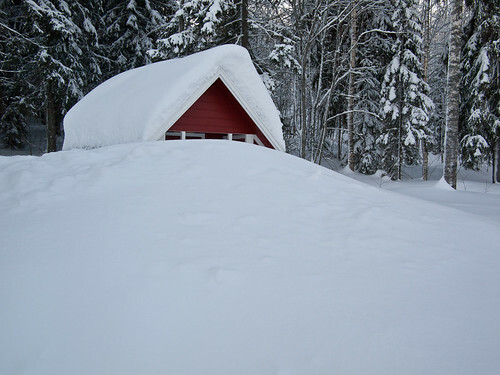 Heat it up!, originally uploaded by Jonne Naarala. 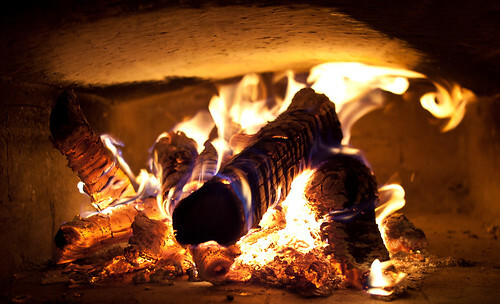 When it is -25 C outside it’s nice to have a wood-burning oven. We will pay about 35 euros for one cubic meter of logs (already cut for stove; 33 or 50 cm long), and we will need them about 15 cubic meters for one winter. That amount of logs is enough for heating (our big tile stove/oven) and for our sauna which has fire-heated sauna stove (we’ll go to sauna at least two times per week). The firewood is not the basic heating system in our house; we have electric heaters in every room. Using wood for heating will lower the need of electricity a lot. Our yearly consumption is about 9000 kWh (the same sized houses use in many occasions about 20 000 kWh). In the future I would like to order full size logs and cut them by myself. That would be much cheaper and I could have something like 100 cubic meters in one order. At the moment I am too busy with the work and with our sons, however, to do that. We have quite extreme temperature conditions here in the winter time. 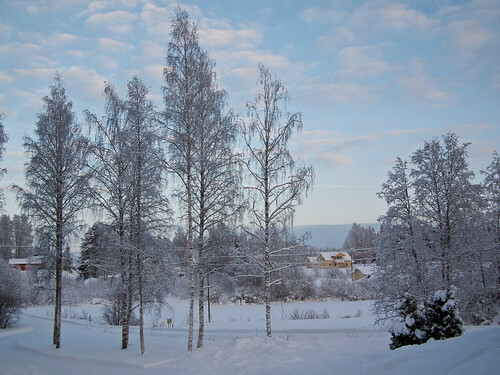 From -20 to – 25 C is quite usual here, and it has been measured -42 C at our place. That’s the reason we really enjoy the gentle extra warmth what the heating by wood provides to us. Christmas season has been officially started! 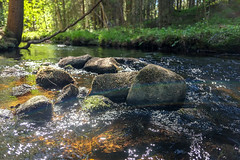 Number one has been opened!, originally uploaded by Jonne Naarala. Our sons, Kaapo and Tiitus, opened the first door in their Christmas calendars yesterday. They have been waiting this for over a week and were very keen to start this every year tradition. 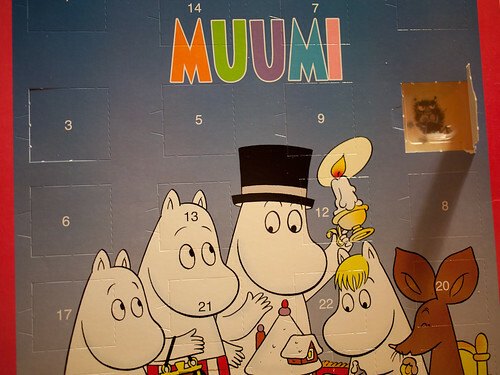 They both have Moomin chocolate calendars. If you do not know Moomin characters, you can find some information here.